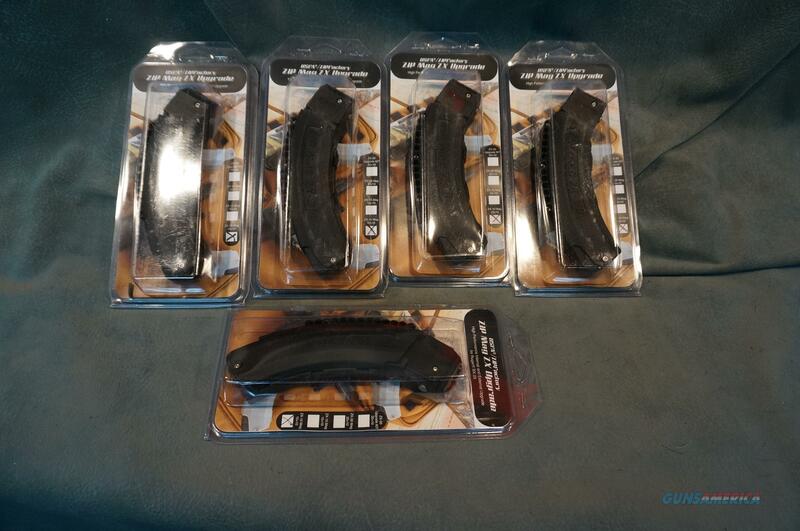 Description: 5 USFA ZX-10 Magazines,these are Ruger BX-25 25 round magazines that have been pinned to hold 10 rounds so they are legal in states with a 10 round maximum capacity.The ZX-Kit improves the function and reliability of the magazines,these list for $49.95 each,a $250 value for $79.New condition.WOW! We buy,sell and trade new and used firearms.This is our 42nd year in business.Firearms will need to be transferred through a FFL dealer.Prices reflect a cash discount.There will be 3% added to credit card sales.We trade for gold and silver.Gun collections wanted.Thank You! !